Pete and Judy Nelson's coming treehouse retreat near Woodinville, Washington. Treehouse Resort and Spa is centered on wellness, relaxation, and play. We are the Nelson family, comprised of me (Pete); my wife (of 30 years! ), Judy; and our adult kids, Emily, Henry, and Charlie. We work together, along with our extraordinary staff, to bring the magic of treehouses to folks across the country. In 2006, we opened our overnight retreat center in Fall City, TreeHouse Point, to celebrate the grandeur of the Pacific Northwest with visitors from around the world. With my designs, Judy's culinary prowess, and the vision of our marvelous staff, TreeHouse Point evolved into a world-renowned getaway for peace, romance, and rejuvenation. Our family has long dreamed of building a more extensive resort than TreeHouse Point, but with the same exceptional service and unique boutique experience. With the incredible influx of visitors to TreeHouse Point, we felt the time was ripe to make our dream a reality. On our travels around the country for treehouse builds, Judy and I looked for the perfect venue. But we ultimately realized that there was no better place than our lush and lovely home: the Pacific Northwest. During a treehouse build in Woodinville, Washington, I drove by a property "for sale" sign and immediately knew it would be the ideal location for Treehouse Resort and Spa. As I write this, we are working hard on the permitting process for the resort - but I can't wait to get started on the designs and construction of the treehouses here. 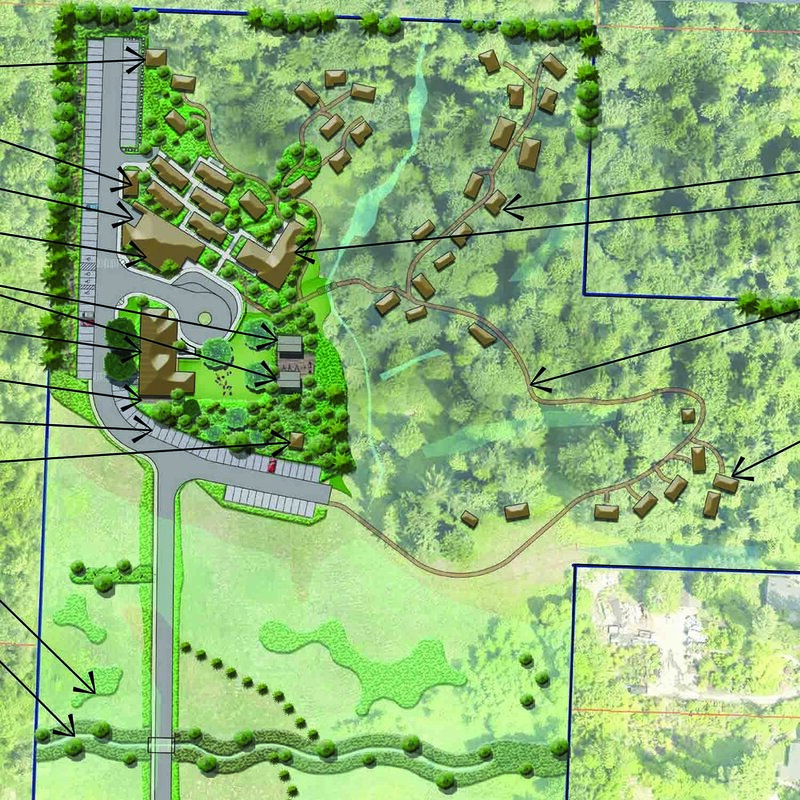 We hope you enjoy learning more about our vision for Treehouse Resort and Spa - scroll down to see our plans for the property and read our FAQs. And I can't wait to host you! Our supporters are so important to my family; you have made our dreams come to life. We couldn't imagine embarking on this next adventure without your support, and look forward to making you feel at home in our trees. What is Treehouse Resort and Spa? Treehouse Resort and Spa is a destination retreat located in the beautiful Pacific Northwest and centered on holistic wellness, play, and relaxation. At Treehouse Resort and Spa, guests stay in our rustically luxurious treehouses and cozy ground houses, and come to disconnect from the overstimulation of modern life and reconnect with nature. Treehouse Resort and Spa celebrates the magic of the Pacific Northwest: the wonder of its natural beauty, creativity of its artisans, and bounty of its farms. Come taste local wines, dine at our farm-to-table restaurant, hike, explore our lush grounds, learn about the fascinating ecology and history of the site, relax at our spa, and unwind in the yoga studio. Join us in marveling at the beauty of this place: soak in the sunset views off our treehouse decks, stargaze over a toasty fire pit, and discover the hidden artwork tucked into corners of the grounds. At Treehouse Resort and Spa, be playful, be rested, be well, and be up in the trees. When will Treehouse Resort and Spa open? 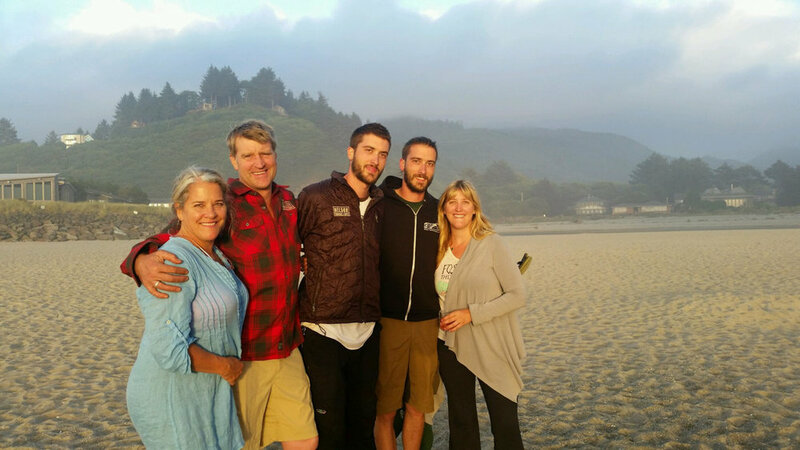 In 2015, the Nelson family began the extensive permitting process that comes with establishing a destination resort in King County, Washington. The team at Treehouse Resort and Spa submitted for the Special Use Permit in December 2017, and expects this phase of the process to last approximately twelve months. It is our intention to begin construction in 2019. Although this project will be ongoing as Pete's imagination for the resort continues to expand, we hope to complete our overall vision by 2020. How do I get to Treehouse Resort and Spa? Treehouse Resort and Spa is currently closed to the public. It is located between Redmond and Woodinville, Washington on a historic parcel of property. Sign up for our newsletter (below) so that you'll be among the first to know more details when we open. How can I contact Treehouse Resort and Spa? You can contact us via email at info@treehouseresortandspa.com. Please note that this email is not checked regularly, as we are working hard to get this place permitted! We ask for your patience while awaiting a response. What spa services does Treehouse Resort and Spa offer? The spa will offer facials, massages, manicures, and pedicures, and use high-quality products that align with our commitment to natural beauty and environmental stewardship. The resort will also offer a pool and yoga studio to promote full-body wellbeing. Can I visit Treehouse Resort and Spa before it opens? No, as Treehouse Resort and Spa is currently closed to the public. Unless you are the guest of a private event at the resort, you are not permitted to be on the property. Can I reserve a room at Treehouse Resort and Spa before it opens? At this time, we are not taking reservations. As soon as we begin construction on the treehouses, we will consider taking reservations. Sign up for our newsletter (below) so that you'll be among the first to know more details. Does Treehouse Resort and Spa host special events like weddings? While we intend to host special events once Treehouse Resort and Spa opens, we will not be reserving any stays or events until we have a clearer picture of when that will be. Please know that we are working diligently to bring this vision of a retreat centered on treehouses, wellness, relaxation, and play to reality! In the meantime, if you are looking for an amazing venue to host an intimate, treehouse-themed, forest wedding or other special event, check out our sister venue, TreeHouse Point. How does Treehouse Resort and Spa relate to Nelson Treehouse and Supply? Pete and his family have long dreamed of building another treehouse resort with the same exceptional service and unique boutique experience as Treehouse Point, but with even more amenities. With the incredible influx of visitors to Treehouse Point, Pete felt the time was ripe to make his dream a reality. The Nelsons looked all over the country for the perfect venue, but ultimately realized that there was no better place than their beloved Pacific Northwest. 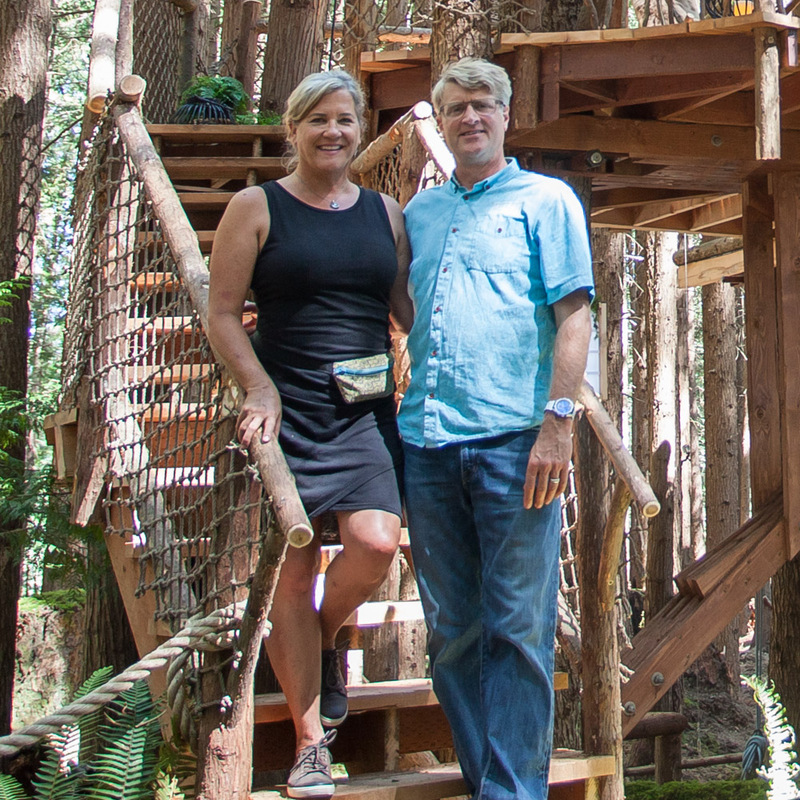 During a treehouse build in Woodinville, Washington, Pete drove by a property "for sale" sign and immediately knew it would be the ideal location for Treehouse Resort and Spa. Pete will design all the treehouses on the resort, and he and the Nelson Treehouse and Supply crew will lovingly construct each one. Finally, members of the brilliant staff at TreeHouse Point will be managing the development of the new resort in order to foster the same magical feeling they've so artfully created before. Sign up for our newsletter (below) for updates and more details on Treehouse Resort and Spa's progress. Please subscribe to newsletter (below) so that you'll be among the first to know about our policies on children at Treehouse Resort and Spa once we open. No, we do not permit pets on Treehouse Resort and Spa property as we do not want to disturb the natural wildlife that lives and thrives there. Please subscribe to our newsletter (below) so that you'll be among the first to know how to reserve a room once Treehouse Resort and Spa opens. Please subscribe to our newsletter (below) so that you'll be among the first to know about our rates once we open. Is a room available on…? Please subscribe to our newsletter (below) so that you'll be among the first to know about our availabilities once we open. Yes! Once open, our restaurant will offer delicious and wholesome farm-to-table meals paired with local beer and wine, highlighting artisans from the surrounding valley. Can I bring my own food to cook? Please subscribe to newsletter (below) so that you'll be among the first to know about our policies on cooking your own food once we open. Are there bathrooms inside the treehouses? Yes, we plan to include bathrooms in all treehouses at Treehouse Resort and Spa. Can I stop by and look around without spending the night? At this time, no visitors are allowed on the property. Once we open, scheduled tours of the site will be available to book online. The gift shop will be open to visitors on tours. However, the grounds (including the restaurant) will only be open to registered guests. Is Treehouse Resort and Spa wheelchair accessible? All common buildings will be wheelchair-accessible, as well as two luxurious ground houses. Your treehouse will come equipped with heat, electricity, bottled water, an electric tea kettle, comfy bed with lines, towels, and an MP3 player/radio. Our bathrooms are fully stocked with shampoo, conditioner, body wash, and a hair dryer. Pack what you would normally bring to a hotel, but also make sure to bring a good pair of walking/hiking shoes if you plan on exploring the grounds. Hope for sunshine, but be prepared for rain. Check the Woodinville weather forecast here. Will Pete be there when I visit? Most likely, Pete will not be there when you visit, as he is constantly away building treehouses around the country. But you never know! What's available in the area to do? Just down the road from Treehouse Resort and Spa are scenic trails, vibrant shopping, tasty dining, world-renowned concert venues, and an array of highly-acclaimed wineries, craft breweries, cideries, and distilleries. Check out Woodinville's visitor website at www.visitwoodinville.org for more information. What is the best time of year to visit Treehouse Resort and Spa? All year round! That's beauty of living here, folks. The Pacific Northwest is known for its temperate, albeit rainy climate. As long as you pack accordingly, you'll enjoy visiting any time of year. I saw you build a Treehouse Resort and Spa treehouse on your show, Treehouse Masters; are you offering tours or can I arrange a visit of that specific treehouse? At this time, the Treehouse Resort and Spa treehouse featured on Treehouse Masters is closed to the public. Once we open the full resort, that treehouse will be available for overnight stays. Join Treehouse Resort and Spa’s email newsletter list to receive the occasional “tree-mail” with updates on this coming retreat in Redmond, Washington. Treehouse Resort and Spa will use the information you provide on this form to be in touch with you and to provide updates and marketing via email. You can change your mind at any time by clicking the unsubscribe link in the footer of any email you receive from us, or by contacting us at info@nelsontreehouseandsupply.com. We will treat your information with respect.